Sam Oliverio Putnam Legislator Sam Oliverio has made it official. 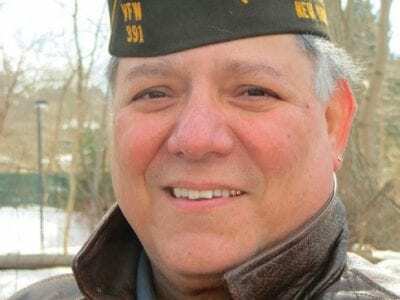 The 18-year veteran on the county Legislature, who lost a bid to unseat County Executive MaryEllen Odell earlier this month, is running for Putnam Valley supervisor next year. On Elect… Please login below or purchase a subscription to the Putnam County Courier to access this content. 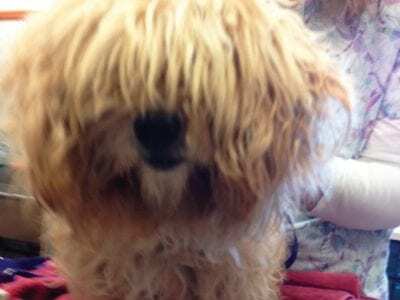 This neglected three to four year old un-neutered Maltese-mix was found abandoned in a restroom at the Fahnestock State Park last weekend. A small white terrier dog has been found abandoned at Fahnestock State Park. SPCA Chief Ken Ross reported the d… Please login below or purchase a subscription to the Putnam County Courier to access this content. 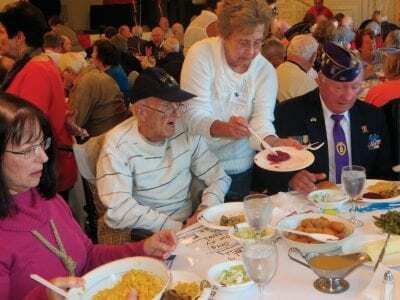 Veterans are served by a small army of volunteers. 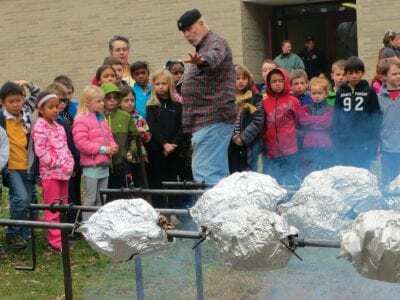 It takes a lot to surprise State Senator Greg Ball but the Putnam, Dutchess, Westchester lawmaker was not only astounded but completely flabbergasted last weekend over the turnout for the region’s fo… Please login below or purchase a subscription to the Putnam County Courier to access this content. 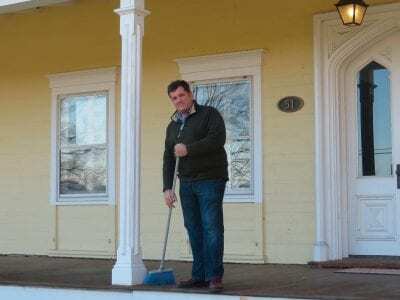 Dan Birmingham sweeps his porch of decades of dust and grime Saturday. The former Putnam legislator has purchased the historic Fowler House in Southeast. Former Putnam Legislator Dan Birmingham and George Washington will soon have something in common… Please login below or purchase a subscription to the Putnam County Courier to access this content. A lot of effort of late has gone into identifying and pursuing the types of businesses best suited to build our future around. Retail is always an obvious choice and today’s retail businesses are participating in the 21st Century’s expanded market p… Please login below or purchase a subscription to the Putnam County Courier to access this content. Dozens of needy families sitting down for Thanksgiving dinner Thursday have a lot to be thankful for this year thanks in part to the students, staff and faculty at the Carmel Middle School. 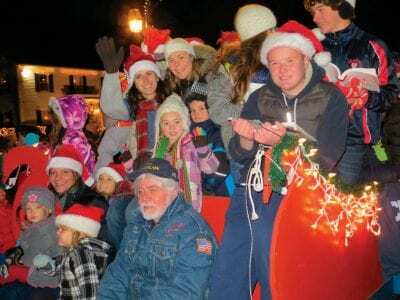 Spearheaded by the George Fischer Middle School student orga… Please login below or purchase a subscription to the Putnam County Courier to access this content. 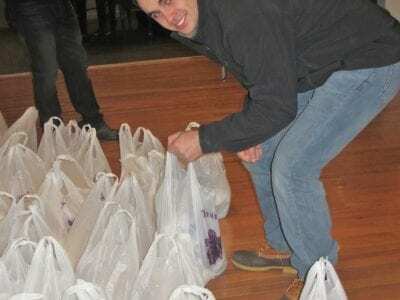 Jason Marano of Southeast arranges the bags of food for distribution. A Latina women’s organization based in Westchester teamed up with the Studio Around the Corner in Brewster last Friday evening and distributed 150 bags of food to area reside… Please login below or purchase a subscription to the Putnam County Courier to access this content. 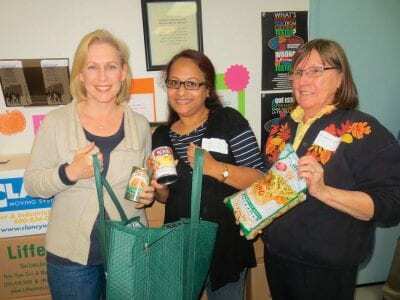 NY Senator Kirsten Gillibrand visits the CAP office in Brewster Monday and assists volunteers Nasheta Moman and Rosemary Decatur stocking holiday bags with food for the needy. U.S. Senator Kirsten Gillibrand visited the Putnam Community Action Progra… Please login below or purchase a subscription to the Putnam County Courier to access this content.